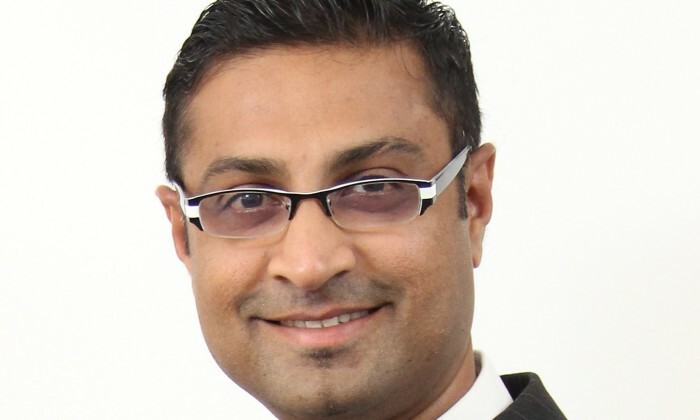 Raymond Siva is the managing director for Edelman Malaysia, a role he has undertaken for four years. Prior to his appointment at Edelman, he was general manager at G2 PR – G2 Worldwide. In an exclusive interview, he shares his personal story with A+M on today’s challenges and opportunities in Malaysia’s vibrant public relations landscape. Easy going and informal. We have an open door policy, which, despite our growth, I haven’t compromised on. It’s important that I am approachable to the consultants and vice versa. I enjoy interacting with people; especially my own people. We learn by sharing experiences and key learnings – by engaging. What we have fostered is a culture of collaboration – across practices – and an entrepreneurial spirit, whatever someone’s experience level. At Edelman Malaysia we practice being hungry and humble – and that is how I would best define my management and leadership style. What was your career progression like? Unexpected and full of surprises. I began my career by studying law, for which I became qualified to practice – a dream career path for any Indian parents for their sons. I was pulled into writing in my first job. In what seemed like the blink of an eye, I was promoted to an editor-level position at another company. It all happened so quickly, and from there I seemed destined for my career to go in an altogether different direction from the one my parents and I had planned. It was with a magazine called Vision KL. Sue Day who hired me actually told me: “I know you’re going to leave me but I am going to hire you anyway” – and I did leave after six months. After that, I joined a hospitality group working on magazines. I was there for about two years before joining another company that would allow me to grow the way I wanted to. That company is the Asian Media Network, which ended up with seven titles – we actually started one title after the other. My father was a major driving force because of the standards he set. He instilled in me a set of guiding principles and ethics that have never left me. Many years ago, he said to me: “After a certain while you have to take yourself further.” What he meant with those simple words was to never sit on your laurels or take for granted what you have achieved. Keep working hard and chase your dreams, building on your past successes. My father worked his way up from humble beginnings – something my brothers and I never forgot. And so, integrity, achievement, ambition and potential fulfilled are all very important to me. Proudest moment in your life/career? My wife and my twins. The twins – one boy and one girl – are just about to turn two. My passion is my work; at any point of time I’m occupied by or thinking about something associated with my job. I’m always trying to connect the dots – with clients, colleagues, new IPs, opportunities, challenges and so on. Edelman Malaysia has grown immeasurably over the past four years, and with scale comes greater responsibility as well as opportunities. Seeing the bigger picture is essential to leadership, and often taking a step back and assessing things can be much easier away from the trappings of office life. Apart from work, I used to travel a lot. Often just short trips outside of KL, but with the arrival of the twins, those leisure pursuits have been put on hold – a point to which I’m sure many parents can relate. So, for my downtime, I just really enjoy being at home, spending time with my family, and reading and researching to keep abreast of the latest developments in Malaysia, as well as further afield. Best decision you’ve made when building Edelman? At Edelman Malaysia, we’re all about people, and for those people it’s all about the relationships they manage with clients and other stakeholders. Hiring the right people is essential, but that doesn’t always mean hiring people who tick the traditional boxes, such as industry experience or possessing higher education qualifications. We hire people who are smart and who are as passionate as I am for doing quality work, being innovative, thinking creatively and going the extra mile. In order to grow, we needed to pick those types of people. To be honest, yes. That was an initial aspiration, once I had decided my career path would be in public relations. I took this job when I was 38; I was still young, tenacious and hungry to make Edelman not just the biggest PR firm in Malaysia, but the best. That hunger has never waned, and it’s great to see so many others at Edelman Malaysia who share that passion. I should add that I’m not a text-book MD. I always wanted to have a flat hierarchy, and I think much of our success can be attributed to that culture. Our consultants – whatever their level – are not my staff or subordinates, they are my colleagues. Everyone is an account executive. Leadership comes from respect, born out of a number of factors, which includes being collaborative, motivating and giving people a sense of purpose and direction in everything they do. Of course, being the managing director still means the buck stops with me for making the final decisions, and – good or bad – taking responsibility for those decisions. What one thing would you say to a newbie in the industry? Go to your new job with a clean slate. What you’ve learned in school has given you basic skills, but work is about how they are executed, developing those skills and having an open mind to learn new things. More importantly, you have to latch on to your mentor. You’ve got to find quickly in your first month who your mentor is at your firm, and you’ve got to start learning as much as possible. Also, don’t be afraid to speak your mind. You are your own person and you are not only entitled to have your own views, but they should be voiced. Right now, Gen Zs are beginning to enter the workplace. They are interested in what a person stands for and what a person believes in. Ideas need to be backed up by integrity, a social purpose or at the very least being responsible. We have a mantra here at Edelman – H2O. This stands for: humble and hungry, zero exceptions. You’ve got to stay humble and you’ve got to stay hungry. Retaining our younger colleagues. Almost 70% of our people are below the age of 28 – I help bring up that average! – but the problem with Gen Zs is that you’ve got to keep them engaged and passionate about what they do every day. So that’s a challenge – how to balance passion and professionalism and how they put the two together. What’s the harshest aspect of the industry? Clients not understanding where PR is moving towards. PR is moving to public engagement, not public relations. Today, it’s about storytelling and how storytelling has evolved – and so too has PR. What do I hate most? I certainly don’t hate advertising. As part of an integrated campaign, targeted and carefully-planned advertising still has a place. Rather than having a dislike, I think what I have are subsets of frustrations. There’s a mismatched set of expectations between what some clients think PR is and where we know PR is moving, and, because of these tensions, people tend to give up on PR. That’s why Edelman is evolving into a marketing communications firm. This process is called Edelusion, and is transforming how we operate and structure ourselves. Moving forwards, there will no longer be a lead agency, there will only be a lead idea – and that lead idea can be born out of any department. Exciting times lay ahead for the PR industry, and Edelman is proud to be leading the charge in Malaysia. TBWA\Shanghai has appointed Double Zhang as managing partner to expand its e-commerce capabilities. ..
See the "recommended stories list " at the end of web pages? The content discovery platform behind it, Outbrain, has set up shop i..